The Condor Outdoor Defender Plate Carrier provides a superior mixture of affordability, MOLLE real estate, protective covering, and comfort that is arguably unmatched on today's market. 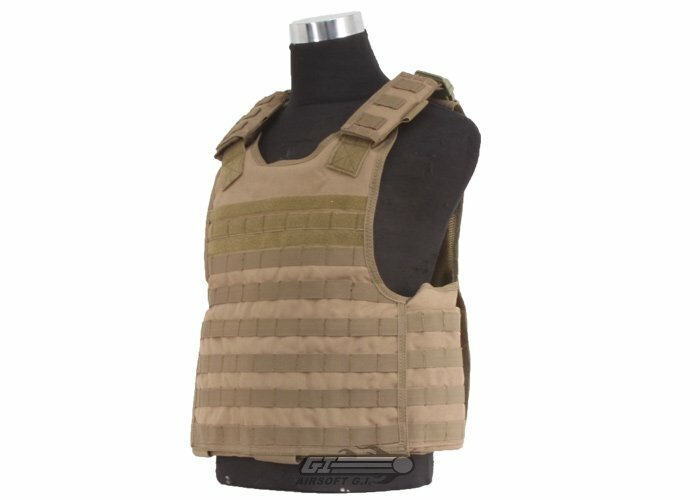 This vest features internal sleeves for both soft armor or plates on the front and back, an adjustable/removable cummerbund with side pockets for additional armor, heavy weight MOLLE webbing over the entire vest, and a lightly padded mesh interior for an additional level of comfort and breathability. 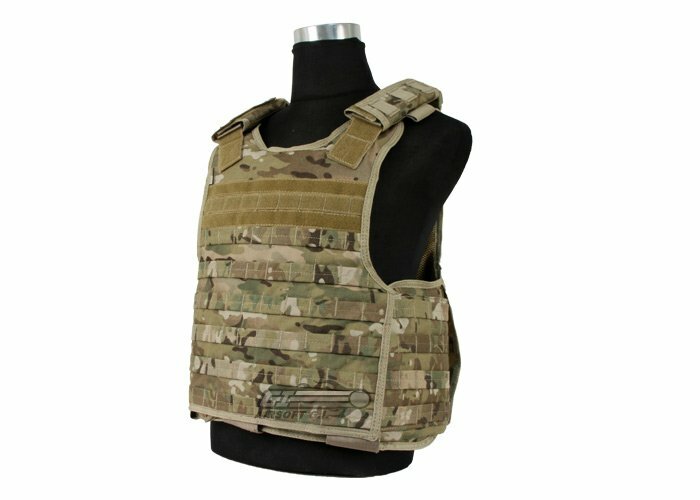 If you are looking for a new plate carrier that will allow you to attach all of your pouches, holsters, and other accessories while still being incredibly comfortable during play, this is the plate carrier for you. This vest does not provide any sort of ballistic protection without the addition of ballistic plates and should not be used in situations where such protection is needed. This is a cool vest. a lot of molle real-estate as well as some Velcro space for patches etc. there is also a rescue handle on the back for dragging in a milsim scenario. The Condor Outdoor Defender Plate Carrier is a very good plate carry if your the kind of person the does not move a lot in the field. The quality of the vest is extremely good. You just don't have very good mobility in the vest when you wearing it. 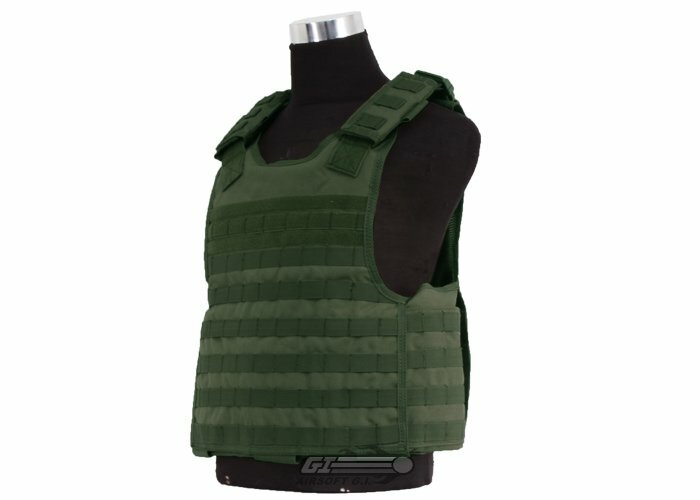 But other than that you can not move a lot its a very well built vest. 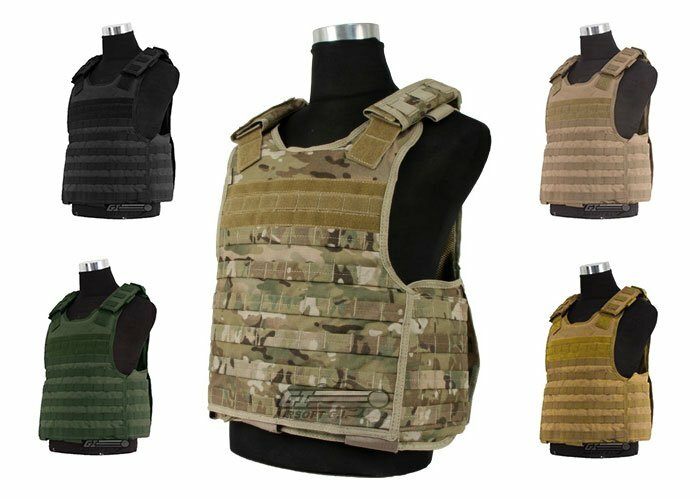 This vest is extremely useful, a lot of padding to protect you from those painful shots that hit you in the chest, back, and in the sides. Offers good coverage as well. 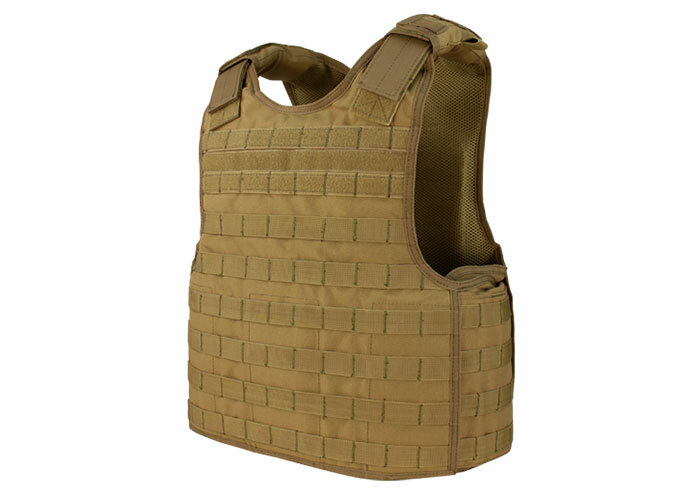 Plenty of MOLLE space allow you to customize this Plate Carrier almost anyway that you want. Space for patches are available on the front and back as well.